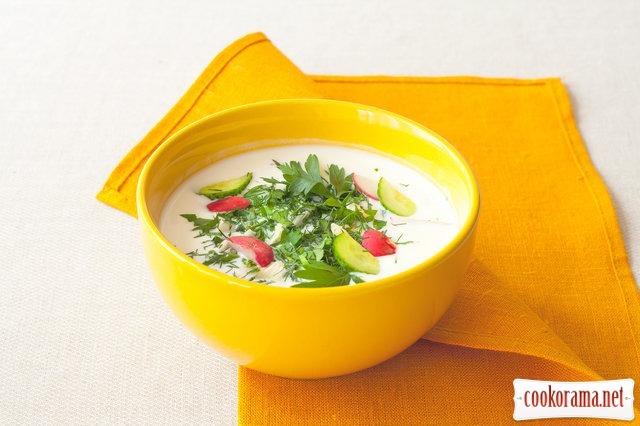 So if you decided to try cold soups, you can`t pass the chalopa! 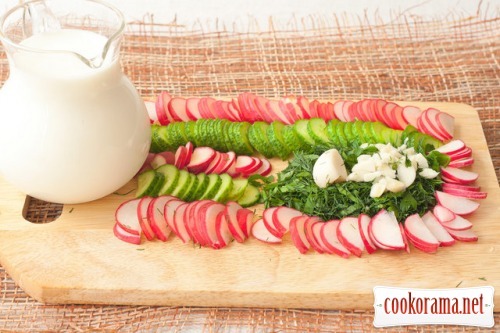 In general, radishes, cucumbers, herbs and yoghurt is enough. And you can add hard boiled egg and boiled beef or chicken. Traditionally for chalop radish and cucumber are cut in semicircles. From greens — a lot of dill, parsley and green onions. Be sure to crush the garlic and finely chop it. 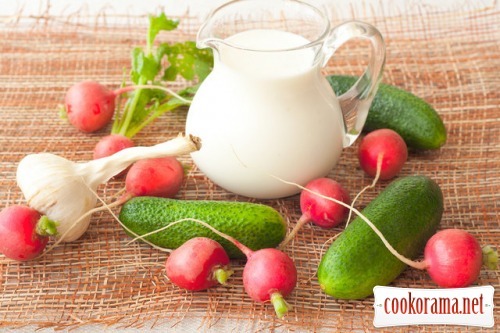 It`s enough to pour vegetables with cold sour milk, milk may be diluted with cold water (1: 1), cool in a refrigerator or put crushed ice. And now the question — does it look like Russian okroshka on kefir and Bulgarian torator on yogurt? The answer is clear! Beacause it was the idea — vegetables+sour filling. Top of recipe "Cold summer soup chalop"
«сейчас продают не кровать, а хороший сон». расскажите как вам результат ?